Skin by Lovely, the number one Botox clinic in Oregon, has opened a new medical practice in Lake Oswego. According to Jake Laban, co-founder and Chief Operating Officer, the expansion comes in response to the increasing popularity of natural-looking, non-surgical rejuvenation treatments and an overwhelming demand for their highly-specialized services. Founded in 2009 in Santa Monica. Calif., a second location was opened in Portland's Pearl District in 2014. "The growth we have experienced since 2009 has been mind-blowing," said Laban. "It is a testament to the high level of specialized services we offer. Rather than being a 'jack of all trades, master of none,' we've chosen to focus on only the most effective, safe and popular non-surgical medical aesthetic treatments. Concentrating our efforts on only three services allows our team to provide patients with the safest and most beautiful results possible." 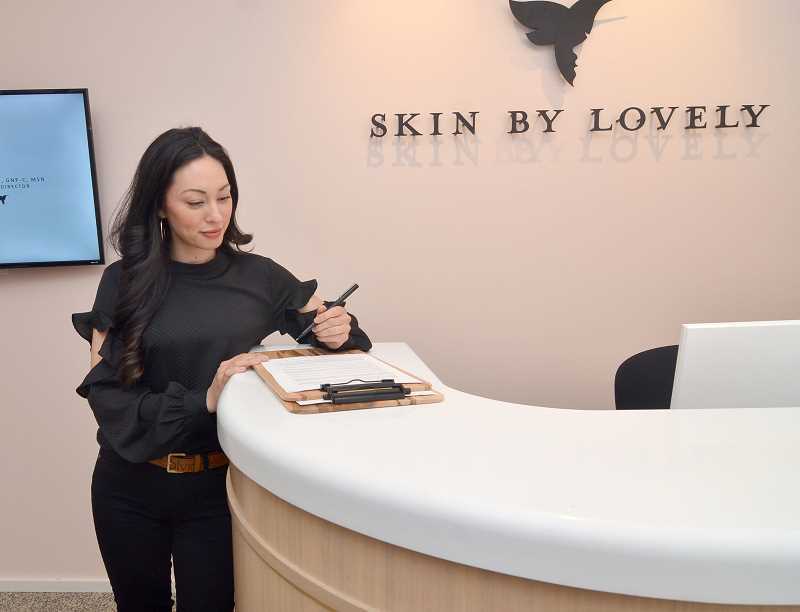 Skin by Lovely is certified by Allergan, the makers of Botox and Juvederm, as a Top 10 facial aesthetic practice in the United States and the Top 25 account for Galderman, the makers of Dysport and Restylane. They provide wrinkle relaxers, dermal fillers and skin rejuvenation services such as chemical peels and micro-needling. The company is committed to help both men and women "feel beautiful in your own skin by accentuating your natural beauty through natural-looking, non-surgical, medical facial aesthetics. "To give your skin what it deserves and let your confidence shine through. Be Lovely also stands for the trust we aim to earn through the confidence you gain from the services we provide." As the sixth-fastest growing private company in Oregon 2017 ranking by Portland Business Journal, Skin by Lovely is on pace to perform more than 18,000 dermal filler and wrinkle relaxer procedures in 2018. By comparison, a typical high-volume plastic surgery or dermatologic practice conducts an average of 550 procedures per year, according to research conducted by BSM Consulting. Currently Skin by Lovely is the only medical practice in the Pacific Northwest dedicated solely to aesthetic facial injectables. For owner and clinical director Lovely C. Laban, GNP-C, MSN, it is not about the numbers. The Northwest native is passionate about helping people feel more confident about themselves in a way that stays true to their natural beauty. She received her Masters of Nursing degree at the University of California, Los Angeles. Nationally certified in gerontology, she studied the aging process in depth, and applies this knowledge to treat the effects aging has on the skin. Her nursing degree is from Seattle Pacific University. "By focusing on and offering only the safest, most effective treatment options on the market, we can provide the best care in the field of natural-looking, non-surgical facial medical aesthetics," she said. "The most important things Skin by Lovely delivers are increased self-confidence and happiness with patients' appearance." Skin by Lovely offers training for medical professionals at its Injection University, onsite at the Lake Oswego office. All Skin by Lovely staff members who provide injections having nursing degrees or medical degrees. Skin by Lovely is located at 6000 S.W. Meadows Road suite 104 in Lake Oswego.